Wood ashes are a soil sweetener commonly used as an amendment to bring acid soil more towards neutral. In a similar fashion to Dolomite lime it’s used for changing the pH of lawns and gardens especially under coniferous trees. For centuries, wood ashes have been used in organic gardens - long before Dolomite lime was widely available. Wood ashes are caustic, but they're alkaline, not acid. Ashes are about two thirds as effective as horticultural lime or dolomite lime in raising a low or acid ph. Avoid using wood ashes at all if you are in a high pH area with alkaline soil above 7. Confused about what pH is and how to test it? Go to this site to learn how to do your own soil test. Wood ashes will also contain calcium, potassium, phosphorus, magnesium and sulfur in variable amounts, depending on the type of wood burned. If a tree while it’s alive has roots reaching to the depth of a water table at one or two meters below the ground, its wood will have all the nutrients carried up from that depth in its tissues, including the fall leaves. Once the wood burns, it will still retain some of the nutrients in the ash. 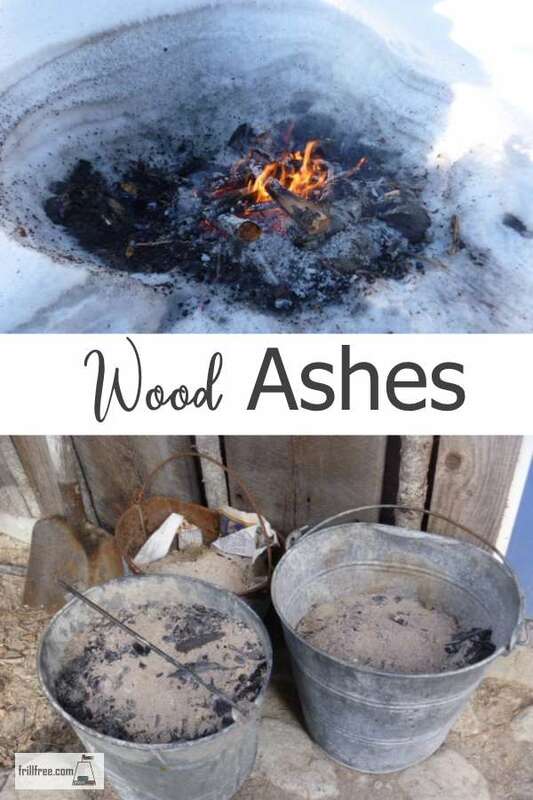 Adding wood ashes to the compost in small amounts or sprinkling it onto your garden beds as a snow melting method can add the small amount of these nutrients to the garden. Ashes from your fireplace often have unburned parts of whatever wood you’ve burned to heat your home, which are a carbon sequestering material. Biochar is frequently referred to as a carbon sink, and holds onto the carbon dioxide that otherwise would be released into the atmosphere. The charcoal in the wood ashes serves the same purpose. Use an amount of about .5 kg (one pound - about a coffee can full) of ashes to each 1 square meter (square yard) of soil, and avoid using wood ashes to adjust the pH more than once every three years, as it has the potential of causing an excess potassium level. This can cause an imbalance of other nutrients. For slug control, sprinkle the ashes around the base of any susceptible plants, as slugs and snails won’t cross any sharp material. Only use metal containers to store wood ashes in, as plastic will quickly become brittle and deteriorate in contact with the alkalinity. Make sure the ashes and coals are completely cold before putting them inside any building, or even beside a building – it’s astonishing how long it takes for smoldering ashes to completely cool. Use caution when handling wood ashes as they are caustic and harmful to eyes and skin - sprinkle only on windless days to avoid the dust blowing.